Hi, I’m Kim from The Shirley Life. I’m so excited to be here and participate in my first Spooktacular September with the lovely Eighteen25 ladies, Jodie and Jen. 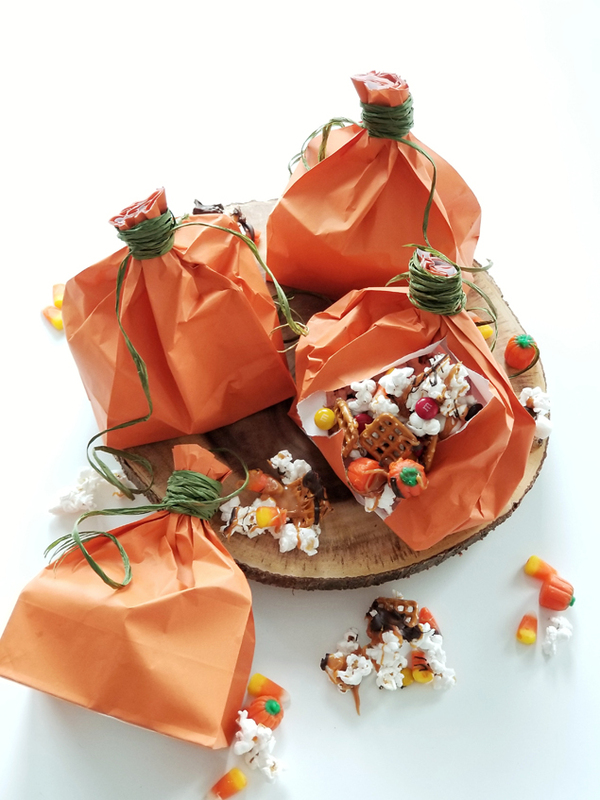 Today I’m sharing this delicious Halloween sweet and salty popcorn mix. 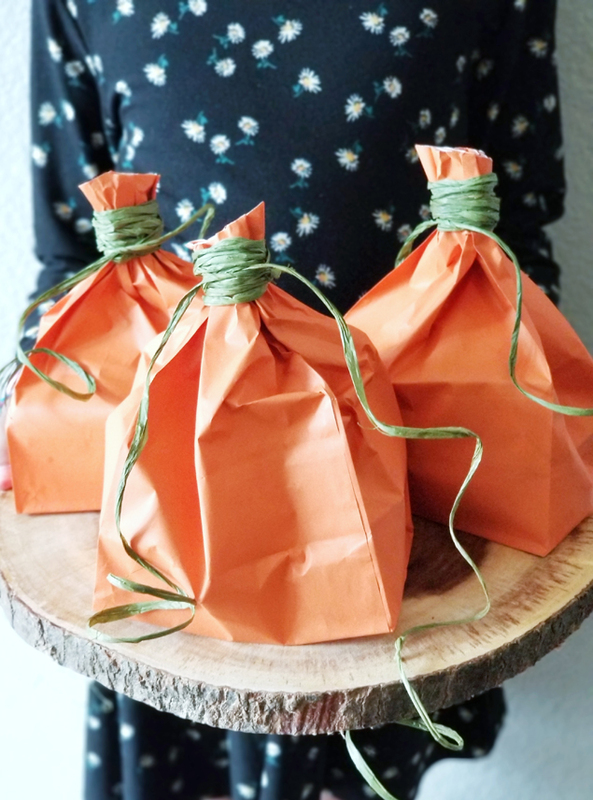 I’m also showing you a really easy and fun way to package them up into some darling pumpkin sacks. •Lay our your Wax or parchment paper. •Spread your popcorn out all over the wax/ parchment paper. 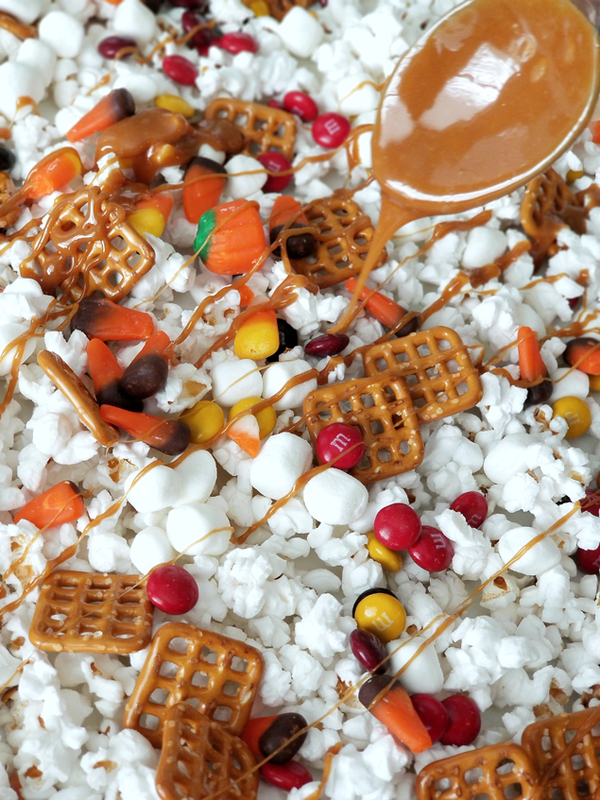 •Sprinkle you marshmallows, pretzels, autumn mix, and m&ms evenly over the popcorn. •Melt the bag of caramel bits with 2 TBLS of water over the stove. Once melted drizzle it all over your popcorn mix. •Now melt you dark chocolate bits (I used half a bag) once melted drizzle over the popcorn mix. •Let the caramel and chocolate set for about an hour. Now time to package up the mix. Grab your orange paper sacks and fill the bottom with some of the popcorn mix. Then take your raffia and wind it around the sack to create a stem. Don’t forget to leave a little on each end to tie it and let it hang like vines. cut the left over bag off that is sticking out from the raffia stem you just made. 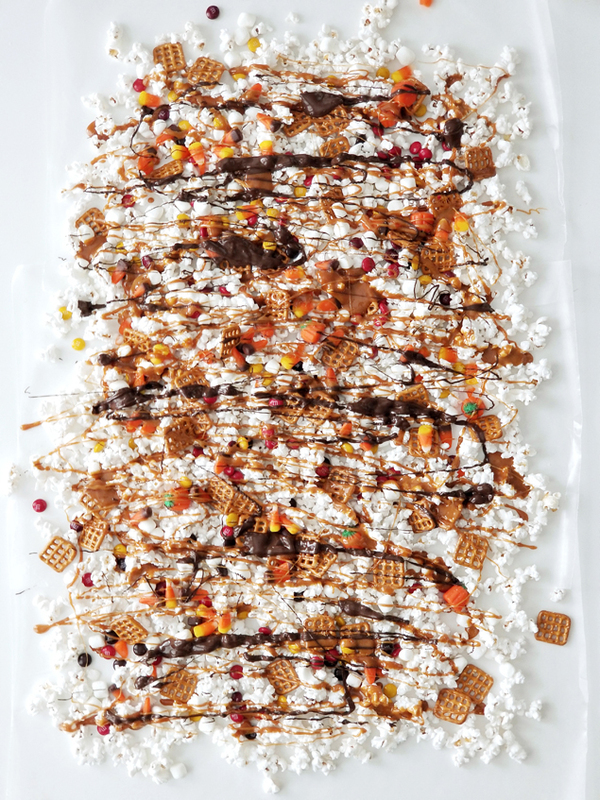 I hope you enjoy this yummy mix and I’d love to have you come say hi or check out my other fun Halloween ideas on my Instagram account @theshirleylife. Thanks again to Jodie and Jen for having me. Hope y’all have a Spooktacular October using some of all these wonderful ideas that have been shared this month from a lot of talented ladies. THese are so fun!! My boys will love this! What a fun idea! Can’t wait to try it! The snack mix looks delicious, and I LOVE the cute pumpkin snack bags! How cute (and simple!) are these!? 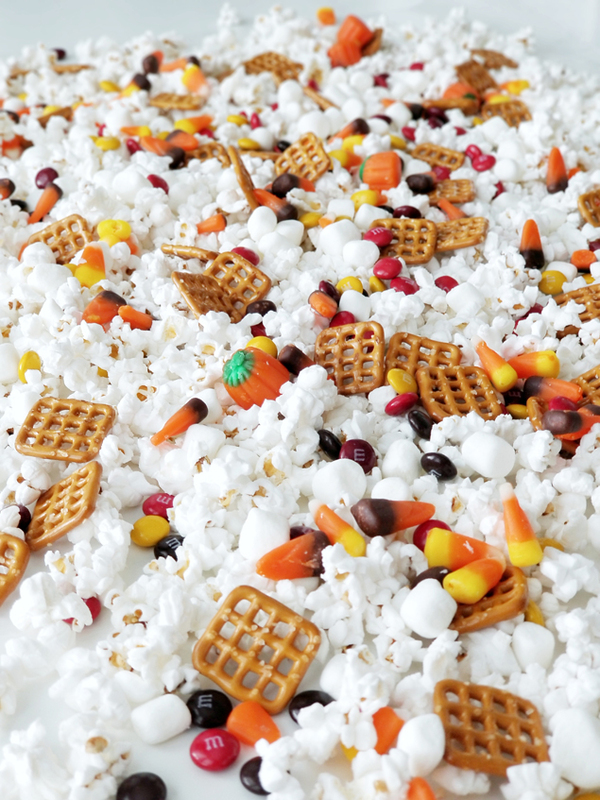 And that snack mix…..mmmmmmm! That looks so fabulous! At the very first look, I couldn’t believe those are real.